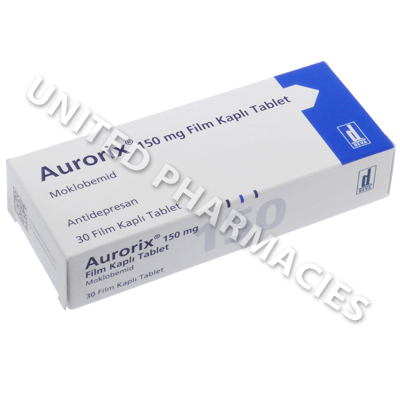 Aurorix (Moclobemide) is used to treat depression, social phobia, bipolar disorder, panic disorder and dysthymia. This drug belongs to a group of medicine called RIMAs (reversible inhibitors of monoamine oxidase type A). 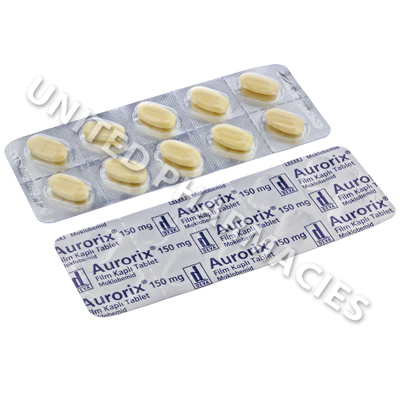 Aurorix (Moclobemide) is used to treat depression, social phobia, bipolar disorder, panic disorder and dysthymia. This drug belongs to a group of medicine called RIMAs (reversible inhibitors of monoamine oxidase type A). Its mode of action is complicated, however, it is widely believed that it works by correcting the chemical imbalance in the brain which can cause depression and other related symptoms. In addition to this, many medical studies have suggested that it may be beneficial in treating ADHD, migraines, and to help patients stop smoking, however, it is not prescribed for treating these conditions. Aurorix (Moclobemide) comes in the form of tablets. A thorough medical assessment is required prior to starting treatment, so that the prescribing doctor can determine the required dosage. Adults treating depression are usually told to take 300mg to 600mg per day, in divided doses. You may be instructed by your doctor to take each dose in the morning and evening, after eating. Patients should note that 4 to 6 weeks of treatment are usually required before an improvement in symptoms is noticed. Other reactions include changes in vision, skin irritation and flushing. Talk to your doctor before starting treatment about the risks of side effects, as some reactions are serious and require immediate medical attention. If you feel that these tablets are not effectively treating your condition, or if you notice a worsening of depression and suicidal thoughts, you should see your doctor immediately. This medicine may cause a serious condition known as serotonin syndrome if taken with certain drugs. Therefore, you must tell your doctor of all medication you are taking, and you must also not take any other drugs during the course of treatment, unless your doctor has told you that it is safe to do so. In addition to this, foods or drinks which contain tyramine should be avoided.